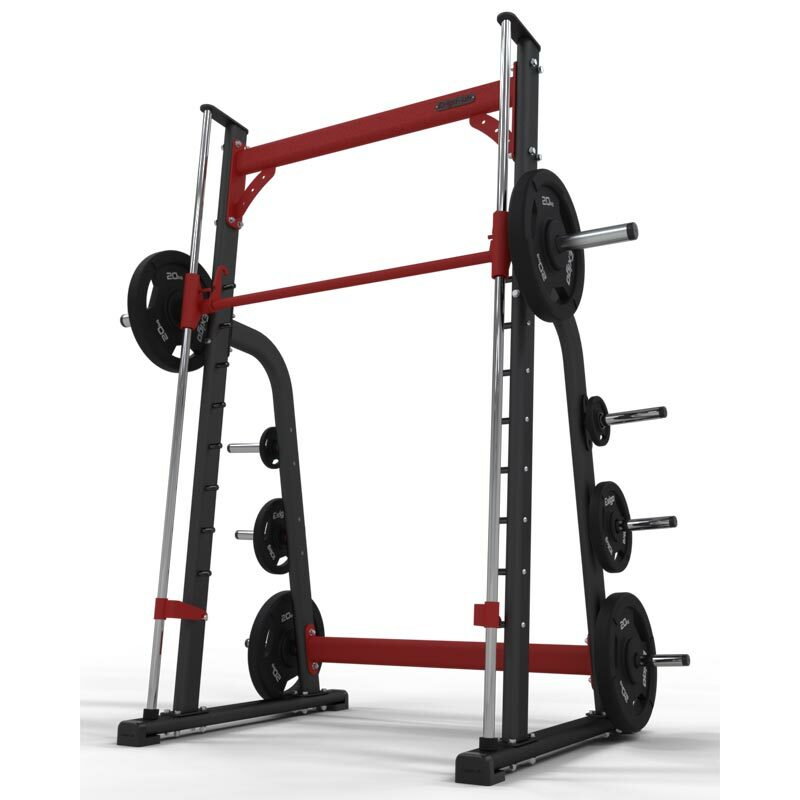 The Exigo Smith Machine assures anatomical and bio-mechanical exercise technique. This clean walk through design features high head clearance while the stainless steel pins minimise wear and tear and our high quality linear bearings and chromed precision bar allow for smooth operation. High quality 30mm linear bearings and chromed bar create a smooth, quiet operation. Load rating tested 1000lb. L1180mm x W2015mm x H2272mm.